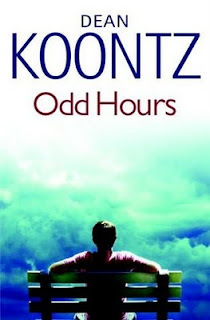 This is the fourth in the Odd Thomas series by Dean Koontz and it was a very pleasant read. I'd have to say that this book was more of a thriller than a 'para-normal thriller' which sets it apart a little from the others in the series. I found myself wanting more of the 'supernatual themes' that Koontz writes so well, but having said that, this novel certainly had suspense and was a quick and enjoyable read. Odd Hours could be read as a stand alone, however will be enjoyed more by those who are familiar with the Odd Thomas series in my opinion. The ending opens the possibility of a fifth book in the series which I'd be very much looking forward to.